Today was the first distribution of our two month winter share. 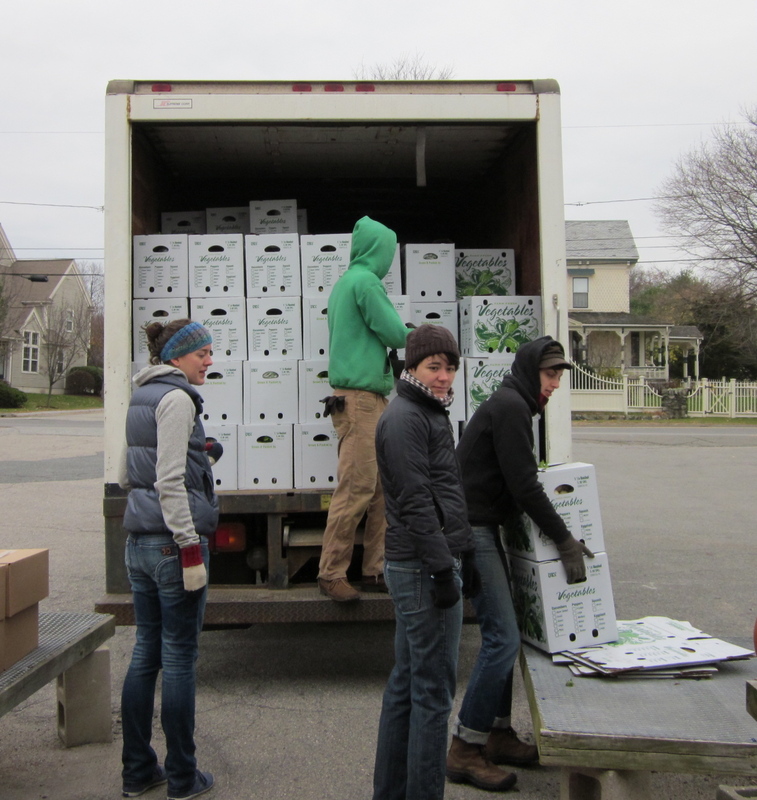 What a lovely day for a CSA share distribution – sunny skies and crisp temperatures. Lots of folks came to help unload the truck and set up for the distribution — thank you!!! Here’s what was in the share. Potatoes, 5 pounds. Store out of bag, in a cool dark place. Sweet potatoes, 4 pounds. These will store well at a temperature of 50 degrees. A basement, attic, or even sitting on the kitchen counter would be a fine choice– just remember to take them out of their plastic bag. Greens, Swiss chard, tuscano kale, escarole or two heads of endive. Jacob’s Cattle dried beans, one pound. This heirloom variety typically has a lot more white on it, but we think that the extreme heat and lack of water combined to leave them almost completely purple this year. ← Save the Waxed Boxes!